This group has gotten me through some tough times. We are on the same journey, yet on different journeys. We give each other support and suggestions for whatever we are facing. Caregivers are family members, friends, neighbors, and others who assist an older adult without compensation. Approximately 43.5 million adult Americans provided unpaid care to an adult or child who is ill or disabled last year. 30% are themselves over 65. 1.4 M children age 8–18 provide care to an adult relative. 90% of caregiving takes place in the home. 85% care for a relative. The estimated value of “free” family care is $470 billion per year (almost twice that spent on homecare and nursing home care). Assistance may include shopping, cooking, managing finances, overseeing medical appointments and treatments, or giving personal care. The recipients may live nearby or at a distance. Care needs often start out modest but can creep up over time— aging, or a sudden health crisis, can turn into something quite demanding. Caregivers often feel overwhelmed by the strain of giving care in addition to their other responsibilities to family and work, which can lead to illness, fatigue, and depression. At the same time, family caregiving can be a very rewarding experience of intimacy and sharing. PSRC professional staff support family caregivers by helping them discover and evaluate their resources and options. Human services and master’s level staff includes licensed social workers experienced in providing guidance and information about aging issues. Services include individual and family consultations, brief counseling, and education. Support groups provide peer and professional support. Staff members evaluate a family’s needs, resources, and options and help them find the local services that they require. 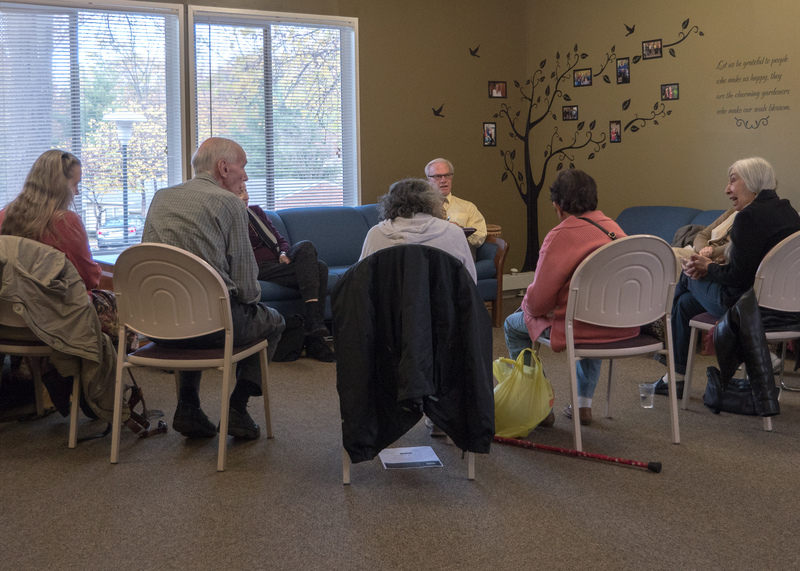 • For area residents, services are coordinated with our Support & Guidance services for older adults. For more information on caregiver support groups, please go to Support & Guidance: Support Groups.